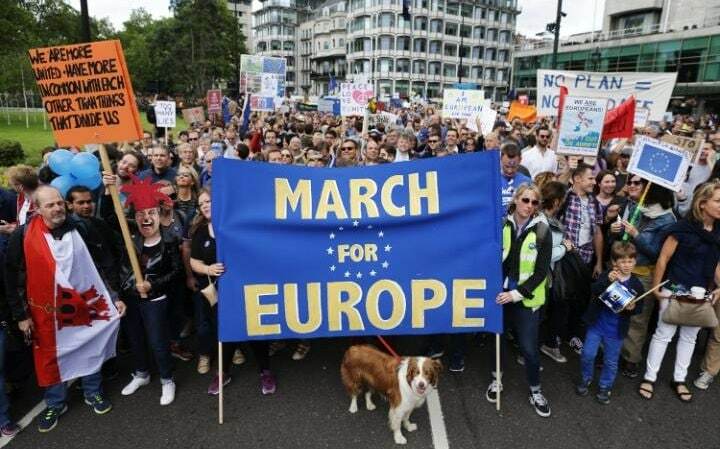 it is interesting to note just howmany of the corporate spokesmen & front line campaigners for the #Remoaners were the very same people who some years ago tried to assure the British electorate that the planet would cease to spin or Britain would vanish as a trading Nation as it slid into pennuary! Astonishing isn’t it that they have seemingly learned nothing in the intervening years and are still desperately trying to sell their snake oil with the same style as those who deliberately lied and peddled FUD in the 1974 Referendum – on which The Government acted then, just as now, by representing the majority who were eligible to vote and chose to do so. In 1974 the majority voted IN however in 2016 the majority voted OUT & as democracy requires, the elected representatives have chosen to represent the best interests of the majority. Lloyds Bank, we were told on Thursday, was shedding thousands of jobs because Britain had voted to leave the EU. The BBC assumed a direct link between the branch closures and what it called the “Brexit effect”. Sky News was just as certain: “Lloyds to axe 3000 jobs following EU exit vote”. On any given day, there will be both good and bad economic news. The trouble is that some of our pro-EU media are determined to see only the bad, and to attribute it all to Brexit. Rather as during the weeks after we left the ERM in 1992, fear of uncertainty prevents some commentators from noticing the positive indicators. They’re not being consciously biased: it’s human nature to press new developments into your existing expectations. But the sheer, relentless pessimism of the BBC, Sky News and the Financial Times could become self-fulfilling. So far, the bad news on which Remoaners have focused comes largely in the form of surveys. Hard statistics remain stubbornly cheerful. Britain’s jobs miracle has continued, with more people in work than ever, and recruitment agencies reporting a boom. Start-ups have been launched at a faster rate since the vote than before it. In the last quarter, the UK economy grew by 0.6 per cent; the eurozone, by contrast, slowed to 0.3 per cent. Of course, you might accuse me of having a mirror-image bias, of seeing only the encouraging stories. But even hardline Remainers must have noticed the difference between what pro-EU businessmen were saying before the vote and what they are saying – and doing – now. Before the vote, the bosses of the pharmaceutical giants GSK and AstraZeneca claimed in a letter that leaving the EU would be “bad for business and research”. Now GSK has announced £275 million of new investment in the UK, while AstraZeneca is spending £330 million, pointing out that it’s “hard to find a better place in the world” to carry out scientific research. Before the vote, the FT claimed that Brexit would imperil Deutsche Börse’s merger with the London Stock Exchange. Now, in a massive vote of confidence in London as the world’s premier financial centre, that merger has been approved. It’s true that some large corporations – notably British Airways and J P Morgan – are still sore about the vote. Some may even be tempted to use it as an excuse for poor results. But it’s only fair to give the full picture. The giant American bank Wells Fargo is spending £300 million on its new European HQ – in London. Japan’s SoftBank has paid an extraordinary £24.3 billion to purchase the Cambridge tech firm Arm. Brexit scare stories are evaporating like morning dew. France was going to throw our immigration officers out of Calais; now it says they’re staying. Wolfgang Schaeuble, the German finance minister, came to London to tell us that “out means out”, and that we’d be treated like any third country; now he says that George Osborne told him to use those words, and that a special deal will be found. Mr Osborne himself threatened us with emergency tax rises; his successor talks, far more reasonably, of tax cuts. We were told the stock exchange would collapse. We weren’t told that it would be the Italian stock exchange, and that British stocks would be the best-performing in Europe. We were told that we’d be at the back of the queue for a trade deal with the US. It now seems that there will be a UK-US deal before any EU-US deal. The same may be true of Canada, which is suddenly more interested in a bilateral deal with London than in its endless arguments with Continental protectionists. From Australia to Uruguay, countries are lining up to sign trade deals with Britain. We are on the way to becoming the centre of global commerce, an off-shore entrepôt, whose example will do far more to persuade the EU to liberalise than ever our imprecations did. Of all Remain’s predictions, only one has come true. The pound has fallen. And, frankly, not before time. The euro crisis had given it an artificial value. Its overdue correction has brought a series of benefits, from Tata reconsidering its withdrawal from Wales, to Pinewood Studios hailing Brexit as “undoubtedly positive”. Come, my Remain-voting friends. Don’t put yourselves in the wretched position of hoping for bad news so as to be proved right. It’s bad for the soul as well as bad for the economy. More to the point, it’s groundless. Previous Previous post: GP – Dr. R.N. > His View On Booker’s Revelations re: Simon Nixon! !